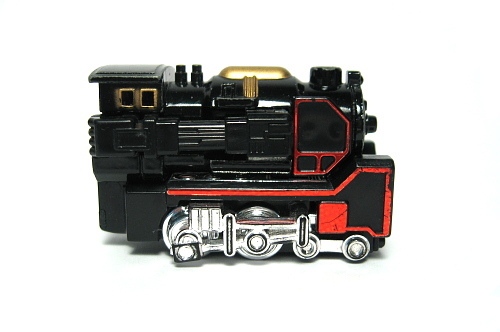 Home / Gobots / Hanna Barbera / Movies / Rock Lords / Transformers / USA Cartoon Express / Watch Go-Bots: Battle of the Rock Lords! Watch Go-Bots: Battle of the Rock Lords! There are dozens of '80s cartoon shows and movies that have never received the red carpet treatment and been released to DVD. But for whatever reason, I find myself less irritated when I find episodes and full movies on YouTube. I was pleasantly surprised to stumble across the Go-Bots: Battle of the Rock Lords movie recently! I really don't remember much about the storyline as it has been a long time since I watched the Challenge of the GoBots series. The show lasted 65 episodes from 1984-85 and later appeared in syndication on the USA Cartoon Express. 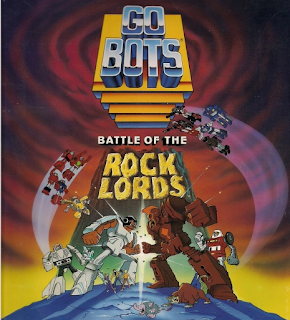 Transformers was clearly the more popular franchise but as a last ditch effort, Hanna Barbera produced the feature film Go-Bots: Battle of the Rock Lords in 1986 to introduce new characters and perhaps revamp the franchise after the TV series ended. The film only pulled in about $1.5 million at the box office and resulted in the GoBots ending their animated run. I'm curious to find out how the movie holds up and thought I'd share my discovery as it nor the complete animated series has ever been officially released to DVD. I've got the movie embedded below or pull up on YouTube at your convenience.